Can Corporations be Criminally Responsible? Information Communication Technology in Academics: How far with Elderly Nigerian Academics? Dimensions of Various Public Participation Schemes in Natural Resource Management: A Review of the Discourse on Participation and who’s Impact? 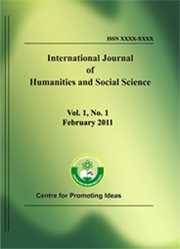 Yaqub T. M., Onibon N. O., Olagunju M. O.
Egyptian Education in Times of Social and Political Unrest: Crisis or Serendipity?